Child Boards: So, What's It Worth? A place for first timers to introduce themselves. Timeless Topics that will stay with us forever. Child Boards: For Chryco Psycho, (Not Secret Anymore!) TheCudaGuy, For 72cudamaan "Andy"
The idea to create The Cuda Challenger Message Board was started in the "Mopar Forum" at www.dodge-charger.com. Anything regarding the new challenger. A place where members can chronicle their restoration project in a single, ongoing thread...and the rest of us can enjoy watching the progress! Those damn ricers never give up do they? Cause sometimes you just can't resist. A place to post all your inspiring ebod pictures. Lets face it, Cudas and Challengers are the best, fastest, meanest looking pony cars that ever were! Ways to get from A to B a little faster. The engine isn't the only part of the go philosophy. Headers To Exhaust Tips And Everything In Between. We have to hookup eventually. Its never a fun job, but it has to be done. Mission control of the automotive world. 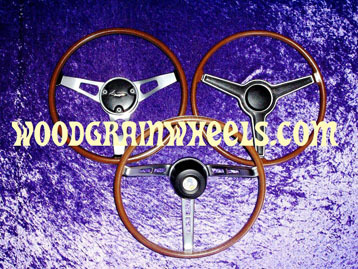 Need help decoding your tag or need to know the code for a rimblow steering wheel? Ask your number questions here! The knowledge every E body owner should have. Its always nice to be part of a club. Want to advertise? Want to join? Post it all here! Post your next Mopar event here! C-C.Com Drag, Auto Cross, and Round Track discussion board. Want out? Sell it on the board! Want In? Let people know here. We all have old parts that are just collecting dust. Maybe a fellow member desperately needs that old distributor to finish his project. We all need parts too. Let us know what your looking for and maybe someone can help. For those who want to trade an item or part, or simply give something away! Know of any neglected Mopars that might work as a parts car or project for somone? Let us know! Feedback, both good and bad, and experiences dealing on ebay. Important developements at Cuda-Challenger.com. Be sure to check in. Dont let any little desire go unspoken. This board is designed to help you. Let me know how it could be improved. Every newspaper has the comics, cuda-challenger has the joke corner.